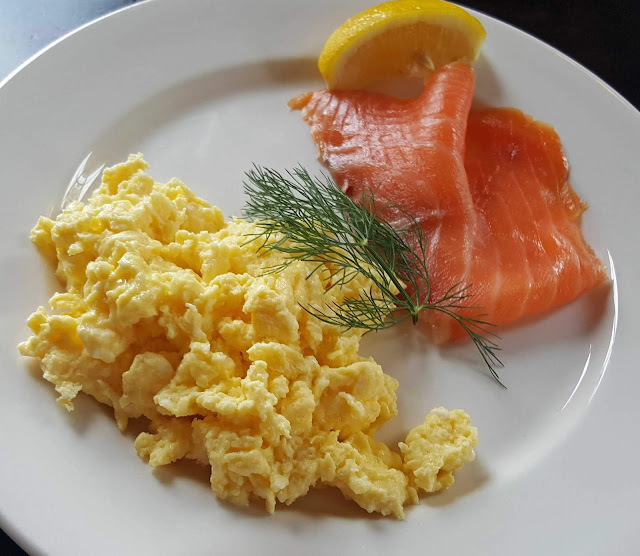 After a day “digging” into Ireland's Ancient East, it was time to eat. 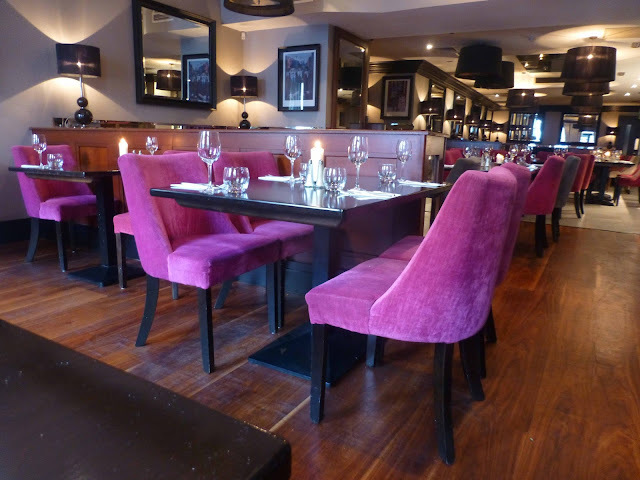 Headed into Navan, a few miles from our delightful base at Teltown House, and a table in the stylish room at The Russell. Got a warm welcome at the bar and we were soon seated at our table by the window. Sank back into the comfortable chairs and began to study the menu, well the specials mainly. They have a long and wide-ranging menu here but both our mains came from the night's specials. 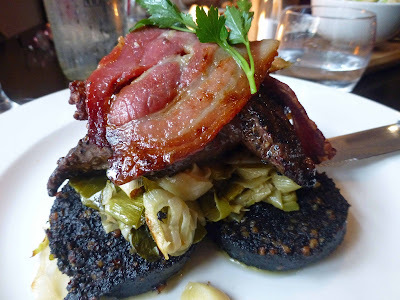 I picked the Peppered Kangaroo Steak, leeks and fried black pudding, with crispy bacon and red berry jus. It was substantial, didn't expect such a plateful. But, more importantly, it was cooked to perfection. The Kangaroo was a delight, enjoyed the black pudding too and the leeks. Top notch. 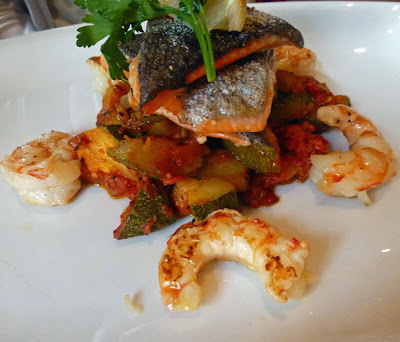 Approving noises coming too from the other side of the table where CL was tucking into the Baked Sea-trout fillet with prawns, served with courgette Provençal, and Lemon beurre blanc. Another outstanding special. The trout came to €22.95 while the ‘roo was priced at €24.95. 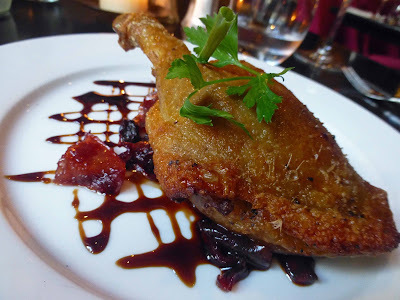 My starter was another special and was: Crispy Duck Confit with braised red cabbage and balsamic glaze (10.95). You tend to get Duck Confit a lot nowadays, not always great, but this was excellent. Another popular starter on Irish menus is Goat’s cheese. Their version was that bit different: Warm Apple and Goat's Cheese with crushed walnuts & a Cumberland glaze (8.00). These were both so good and so well presented that jealous eyes were wandering across the table. So a share was in order and all were happy! Service was great and we had some lovely chats before we left this friendly place. I’m sure the desserts would have been terrific but they had us well fed and all I could manage was a wee glass of port. Sláinte!